Illinois Gov. 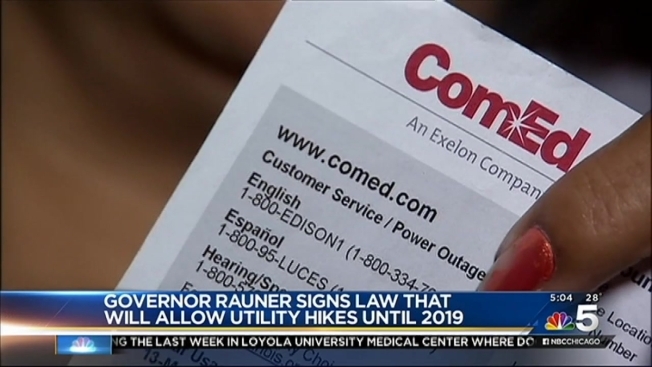 Bruce Rauner has signed into law a measure that grants two more years for the state's electric utilities to recover the cost of upgrading their delivery systems. The law extends a "smart grid" oversight program that would have ended in 2017 and required the utilities to apply for rate increases to pay for upgrades. Commonwealth Edison and Ameren Illinois now will continue to receive formulaic rate hikes through 2019 to cover the cost of installing smart-grid technology. The two-year extension was approved by the General Assembly last year. Senate President John Cullerton held onto the bill until Pat Quinn left office on fears he's veto it. Ameren Illinois spokeswoman Marcelyn Love says the legislative maneuvering delayed the start of installation of digital electric meters, but the utility is now ahead of schedule.